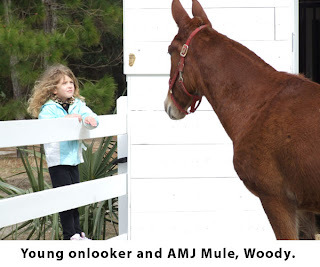 Saturday was the Lowcountry Heritage Breeds Festival at the Coastal Discovery Museum at Honey Horne Plantation. The Coastal Discovery Museum has been very supportive of ALBC’s efforts to preserve rare breeds of livestock, and they have been great partners in educating people about these breeds. The purpose of the Lowcountry Heritage Breeds Festival was to educate people about heritage breeds. 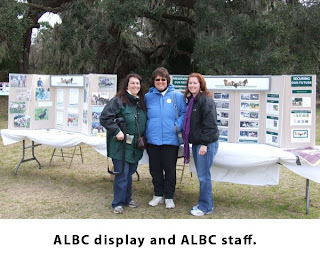 ALBC set up several displays and gave two presentations including an Intro to Rare Breeds and a History of the Marsh Tacky Horse presentation. These presentations were very popular and each had standing room only! Aside from the presentations and displays, the most exciting part of the day was the animal display. 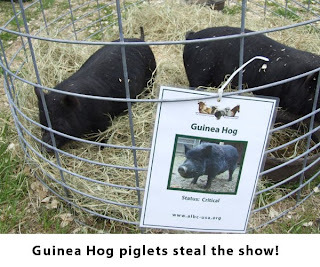 ALBC coordinated with several members in the area to bring rare breeds of livestock and poultry to the event. 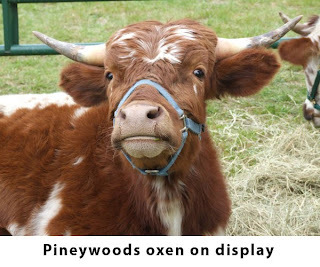 Many breeds native to the Lowcountry were on display including Pineywoods cattle, American Buff geese, Black turkeys, Leghorn chickens, an American Mammoth Jackstock mule, a Marsh Tacky horse, Guinea Hog piglets, Ossabaw Island hogs, and more. People enjoyed petting the animals, talking to the farmers, and learning about the breeds. Although this was the first time for the event, we had about 1,200 people in attendance. This was a great turn-out and we hope to expand the event next year to include many more breeds and presentations. The event was a great kick-off and complimentary event to the Marsh Tacky Horse races occurring the following day.